Dolly Parton’s Lumberjack Adventure Hiring! 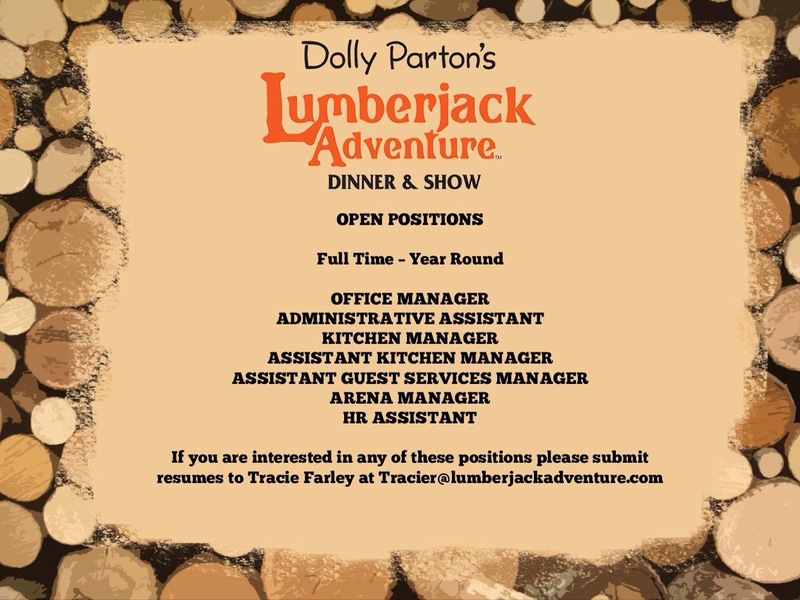 Dolly Parton’s Lumberjack Adventure Hiring , Full- time : Office Manager, Kitchen Manager etc. This entry was posted in News, Uncategorized and tagged Dolly Parton's Lumberjack Adventure, etc, Full time, Hiring, Kitchen Manager, Office Manager by dollyfan. Bookmark the permalink.